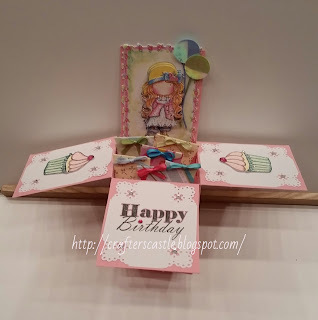 The sweet 3D image is one of Sherri Baldy's 3D card toppers Bestie Dimples . 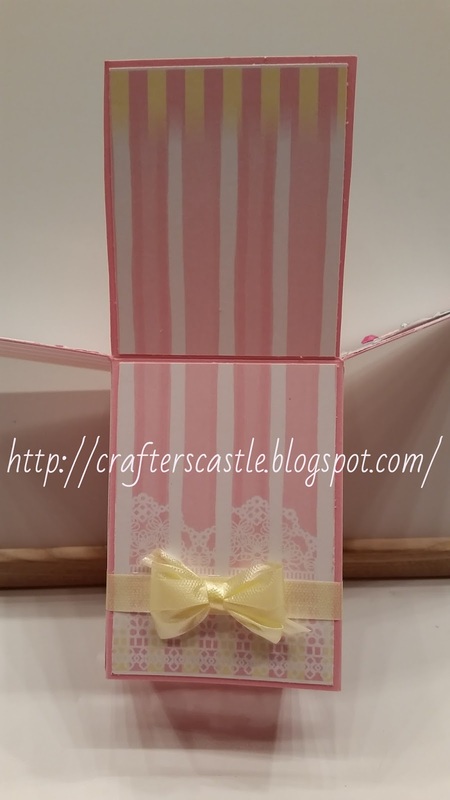 The presents are die cut squares wrapped with scraps of patterned paper, and the cupcakes are were made with Close To My Heart "Cutie Pie" stamp set. I hope you check out my video tutorial. 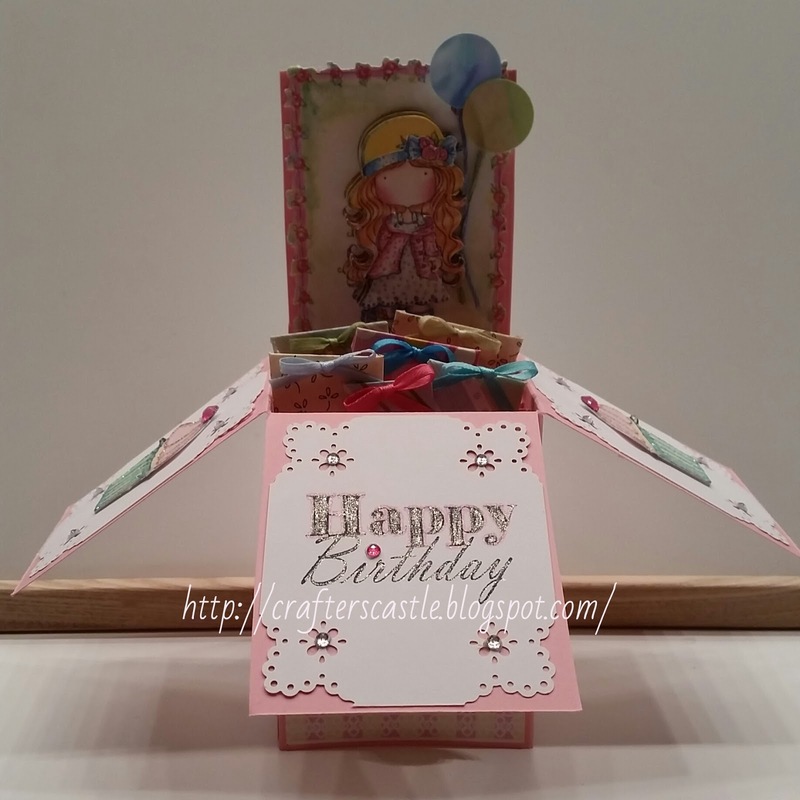 Seize The Birthday - Option "Sunshine"
What a wonderful box card you have made! I am also in agreement with you I thought it would be difficult but they really aren't! 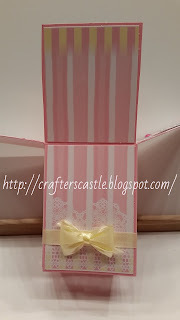 My favorite part of your box is the added gifts popping out! Super job and thanks for joining us over at Seize the Birthday! This is so beautiful! I love the sweet image and details on the box. I haven't ever made one - every time I see them I love them, but think they look too difficult. I will have to try it out! Thank you so much for playing along with us at Scrapbook Stamp Society. We would love to see you again! 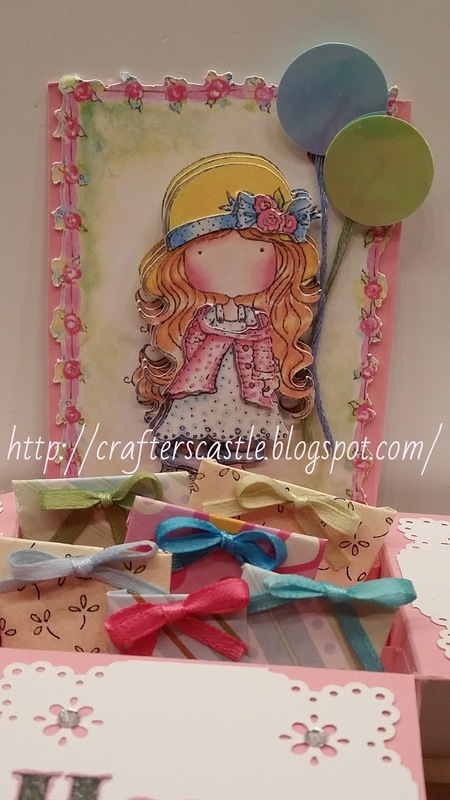 Wonderful box card, these are so fun to make!! what a great way to use some scraps!! So pretty and creative. Love all the details on your box card. Thanks for sharing with us at Seize the Birthday. Boxes are fun and yours is very pretty! Thank you for sharing with us at Cupcake Inspirations. Woww love this box! And love the sweet image!! Thank you for joining us at My Besties Aussie! Great box, I really should try one. What a adorable and sweet creation. Thank you for sharing it with us at My Besties International. Good luck and hope to have you join us in our next challenge as well. 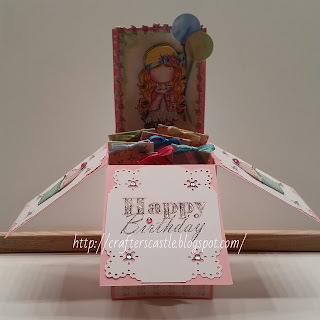 Gorgeous boxcard you have made. This is so very sweet! 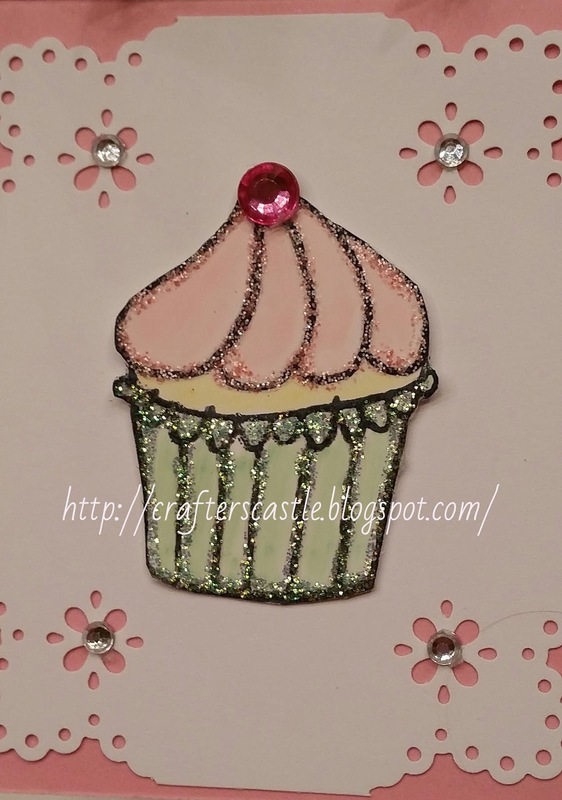 Thanks for sharing with us over at Cupcake Inspirations! What a sweet box card, its beautiful . MHK Designs "I've Been Framed"
MHK Designs "Eat Your Veg!"